Have you heard of Krill Oil? It is something I didn’t know a whole lot about other than it was a fish oil supplement. Well, I’ve been educated and, if you keep reading, you will be, too. First I’ll tell you what krill is! Krill is a tiny ocean crustacean that lives in Antarctica. So, now that you know that, let’s move on. Krill Oil has some benefits that make it superior to your standard fish oil supplement. Since krill are at the bottom of the marine food chain, they are pretty much free of the standard pollutants you’ll find in other fish. It is also more absorbable by your body. Because it is linked together in phospholipid form instead of triglyceride form, the human body can absorb the nutrients much more easily. It’s no good to you if it’s not being absorbed and ends up in the toilet, after all. Your pets will even benefit from Krill Oil in this form. I started taking Krill Oil, now part of Viva Labs, not really knowing what to expect. I have been having issues with lack of energy/fatigue since my son was born last July. I’d have momentary reprieves for a day or two just for it to come back. This has been going on for months and has been very frustrating for me. I started taking Krill Oil and I began to notice that I had energy. I could actually get through the whole day without needing to sit down or lay down and rest because I just couldn’t push through anymore. Going to a playdate to the park didn’t completely exhaust me for the rest of the day. It has been wonderful! As long as I take my two Krill Oil pills in the morning, all is well. If I forget, halfway through the day I’ll realize it because my energy is low, and I feel worn out again. There are so many other health benefits, too. Another wonderful side effect of taking Krill Oil is I feel a lot less anxious and overwhelmed. It’s easy to feel overwhelmed when you think of all of the things you need to do as a wife and mother these days. We are pulled in so many different directions meeting other’s needs, and I know it certainly used to weigh on me a lot. Since taking Krill Oil, I feel happier and less weighed down by all of the things I haven’t accomplished yet. It is very freeing. Now, instead of sitting around feeling badly that I didn’t get to X, Y, Z yet, I actually just get up and do it. Some other benefits are mental clarity (another one I have personally noticed! ), reducing inflammation that can damage the heart, improved cholesterol levels, reduction in (or elimination of) PMS symptoms, reduction of inflammation, improved wellbeing and reduction in wrinkles and fine lines. 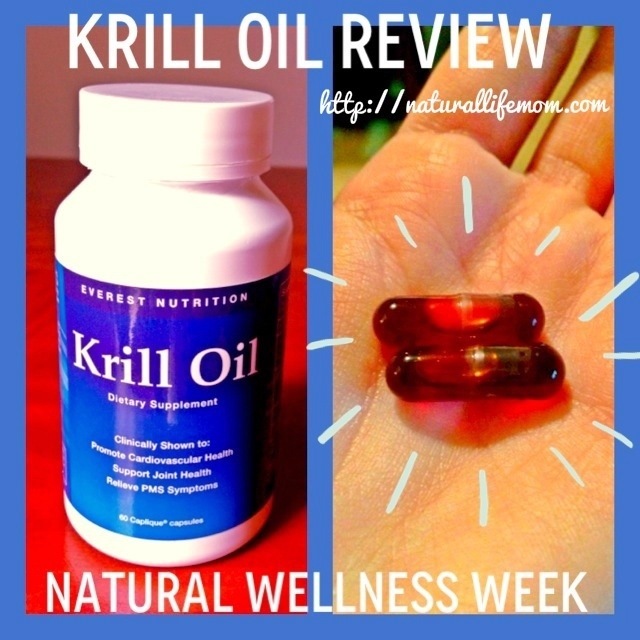 What Makes Krill Oil Special? I tried taking fish oil supplements before, and it was not a pleasant experience. The pills were enormous, the smell was awful and the taste made them hard to choke down. Honestly, I gave up after the notorious fish burps made an appearance. Gross! These Krill Oil supplements come in special proprietary vegetable-based capliques™ instead of soft-gels. They completely eliminate all of those problems. There is no hint of a smell or any unpleasant side effects and they are in no way giant pills. As I mentioned above, krill’s natural habitat is Antarctica, home of the cleanest, clearest water in the world. Viva Labs collects the krill straight from these waters and then utilizes a unique proprietary extraction process that immediately processes the krill on board their ship. Other manufacturers send their krill to a manufacturing plant for processing. The problem with that is krill loses its potency once it leaves the waters. So, Viva Labs Krill Oil is superior in nutritionally value. Lastly, Krill Oil is 54 times more powerful than fish oil. Full of vitamins E, A and D along with astaxanthin, an anti-oxidant with the ability to cross the blood-brain barrier and combat toxins that lead to cognitive decline, Krill Oil packs quite the nutritional punch. I’ve been so pleased with the benefits I’ve seen from Krill Oil. Are you ready to see these benefits for yourself? Win your own one month supply of Krill Oil. Enter via the Rafflecopter entry system below. Good Luck! Disclosure: I received no compensation for this post but did receive a complimentary bottle of Viva Labs Krill Oil for the purpose of this review. I was not required to give a positive review and all opinions are 100% my own. I only review products that I either have purchased myself and love or products I have been given a chance to review by the company that I believe are products my readers would benefit from. One Response to "Krill Oil for Energy"
I’m type 2 diabetic,have been taking viva krill oil for a few months now,I went for my diabetic check up recently and the results were excellent no cholesterol sugar down 6.5 the nurse said to me what ever I’m doing to keep it up. I used to take statins I stopped them a few months ago I’m able to cut down of metformin which was 1000 mg 3 times a day now I only take 500 3 times a day.